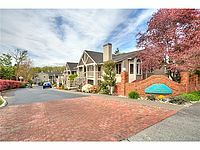 Gorgeous 1 bdr 1 bath MIL apartment with off street parking on the border of Lynnwood and Edmonds. Rambler style, all on one floor. Beautiful interior features rich wood tones and modern day amenities. Granite counter tops, SS appliances in full size kitchen, living room with cozy fireplace, full bath with rich slate tile plus washer and dryer in unit. Prime location close to Swedish hospital, schools, restaurants, shops and parks. No Pets/No Smokers. Rent $1300/month - tenant pays all utilities. Deposit equal to one months rent, $200 non refundable. Tenant screening through MOCO $40 per person.